Bride Karishma and her best friends had their dreams of her millennial-style big day come true as they got celebration-ready with L’Oréal Paris and WeddingSutra Favorites. Millennials know they’re worth it. They like their style with a big dose of substance. Their passion for attaining the finest is in evidence best at a milestone event like a wedding. Whether they’re getting wed in luxurious, exotic destinations like Oman or the Seychelles, wearing ensembles by celebrity couturiers or adorned with jewellery from the most established craftsmen, they know what’s best and they know they want it. 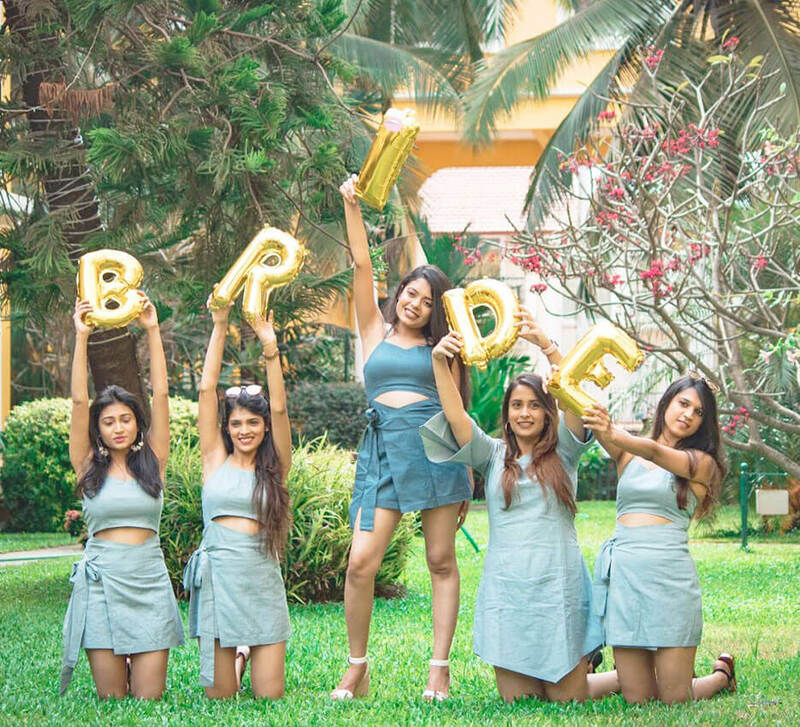 Aligning with the millennial aspiration and aesthetic, bride-to-be Karishma and her favorite girls had a few ideas about what her wedding will be like. 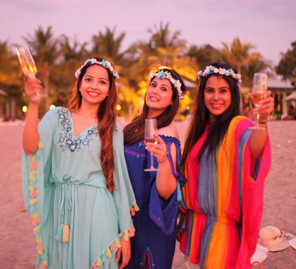 A young, fresh take on celebrations, breathtaking backdrops and voila – the festivities began! L’Oréal Paris is a century old global beauty brand that is legendary for being ahead of every modern curve. Their innovation and high-quality products meant the girls just relaxed and let makeup artist Pooja Khurana create their looks using the range. An expert in her field, Pooja Khurana analyzed their faces to figure out what sort of visage would suit each one perfectly. She then relied on her craft and techniques to transform them into the prettiest versions of themselves. Karishma and her squad were then privy to some of the most exquisite outfits designed by designer duo Shivan & Narresh. Bold prints, bright colors and flowing silhouettes brought an edge to the shoot and were perfectly accessorized with contemporary jewellery from Outhouse. Each ornament from this luxury fashion jewellery brand could be a piece of modern art and the girls loved matching these with their trendy attire. The day panned out in easy glamor in the beautiful expanses of The Westin Sohna Resort & Spa. 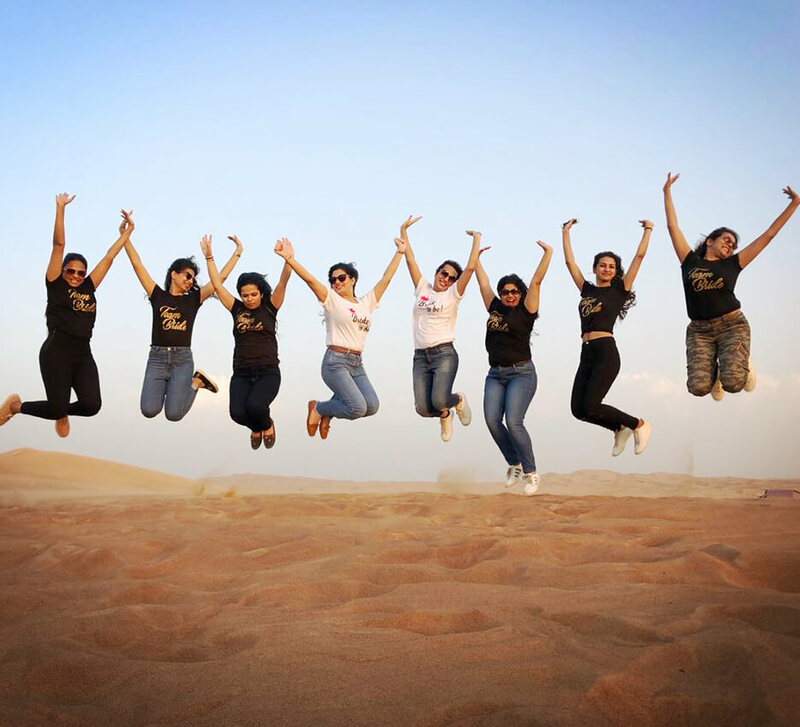 To elevate the aesthetics Devika Sakhuja crafted some breathtaking backdrops for the girls to pose against. Looking at everything with the eye of a bride-to-be, Karishma said, “I thought she did a great job creating a very sophisticated and pretty area for us. I could easily imagine this being the backdrop of my bridal shower.” “It felt really nice to see this artsy little patch in the open lawn. The decor elements and the flowers were very creatively used,” bridesmaid Kanika chimed. Pooja Khurana had envisioned the millennial bride as a blend of new-age boldness refined with a touch of the classics. Confident of creating a fine balance thanks to her make up arsenal she relied on the L’Oréal Paris Color Riche Moist Matte Lipstick - 232 Beige Couture. The ultra-moisturizing lip color rendered a flawless finish that lasted all day. Karishma looked perfect for every shot. The L’Oréal Paris True Match Le Blush – Rosewood was used to bring a healthy glow to her cheeks and was a great match to the undertones of her skin. L’Oréal Paris False Lash Superstar Mascara that comes with a primer, created a show-stopping lash effect in two steps by coating the lashes with the primer and then with the mascara. Jessica’s look by makeup artist Pooja Khurana was utterly modern and chic. The L’Oréal Paris Color Riche Moist Matte Lipstick - 263 Pure Garnet was her secret weapon here. The intense color and long wear quality of the product enhanced the final outcome. To showcase the strong lip color, Pooja used the L’Oréal Paris True Match Lumi Powder Glow Neutral Illuminator. The L’Oréal Paris Voluminous Lash Paradise Mascara with its unique formula gave Jessica lashes that were feathery soft and the product lasted all day without flaking, smudging or clumping. Aastha’s look with its impeccable makeup and trendy hairstyling was best defined as graceful and stylish. The L’Oréal Paris Infallible Pro Matte Lip Gloss 312 Rouge Envy, with its deep pigments and color pay-off lasted through the shoot. Makeup artist Pooja Khurana began by applying the L’Oréal Paris Infallible Pro-Matte Foundation in Shell Beige to create a smooth finish. Packed with absorbing minerals, it helps to soak excess oil for up to 24-hours. Aastha’s lashes were coated with the L’Oréal Paris False Lash Superstar Mascara. Its super-volumizing primer built up dramatic volume on every lash and created an ultra-smooth base to maximize the mascara’s performance. With the help of the L’Oréal Paris Color Riche Moist Matte Lipstick - 271 Divine Mocha makeup artist Pooja Khurana created for Kanika a look of timeless sophistication. The moisturizing jojoba oil kept her lips hydrated and nourished throughout the day. The L’Oréal Paris True Match Le Blush – Rosewood used on her cheeks broke down the excess oils on her skin without stripping it of vital moisture giving her face a pleasing flush of color. For a dramatic volumizing effect, the L’Oréal Paris Voluminous Lash Paradise Mascara came in handy. With over 200+ bristles on its wand, it caught every lash for a full fringe. Makeup artist Pooja Khurana brought an easy elegance to Chikky. She left the color of her lips soft with the L’Oréal Paris Infallible Pro Matte Gloss - 300 Blushing Ambition. The high-impact velvet matte lipstick ensured that there was no dry-out and she was comfortable all day long. She highlighted her face using L’Oréal Paris True Match Lumi Powder Glow Illuminator. The lightweight formula is designed to impart ultimate luminosity and added an ethereal touch. Her look was completed using the L’Oréal Paris False Lash Superstar Mascara. The brand’s first curler effect mascara wrapped itself around every stand of her lashes to give them a super-lifted glossy black appeal. Chikky wore a blue Shivan & Narresh saree that bore large floral patterns in white. The contrasting colors complemented each other brilliantly and the solid colored pleats in the front made for an eye-catching feature. Contemporary pieces of jewellery from Outhouse completed the entire ensemble.